Come and experience Strangnas and its monuments, history and museums. You'll find plenty to explore during your stay in the area. Many of our vacation rentals offer full kitchens, spacious living quarters and sometimes even a hot tub—perfect for a relaxing getaway. The nearest airport is in Vasteras (VST-Stockholm - Hasslo), located 19.8 mi (31.8 km) from the city center. If you can't find a flight that works for your travel itinerary, you could also fly into Stockholm (BMA-Bromma), which is 34.2 mi (55.1 km) away. If you'd prefer to travel by train, the main station is Strängnäs Station. Can I rent Houses in Strängnäs? Can I find a holiday accommodation with internet/wifi in Strängnäs? 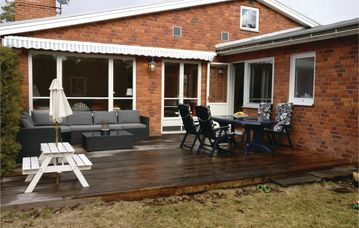 Yes, you can select your preferred holiday accommodation with internet/wifi among our 18 holiday homes with internet/wifi available in Strängnäs. Please use our search bar to access the selection of holiday rentals available.